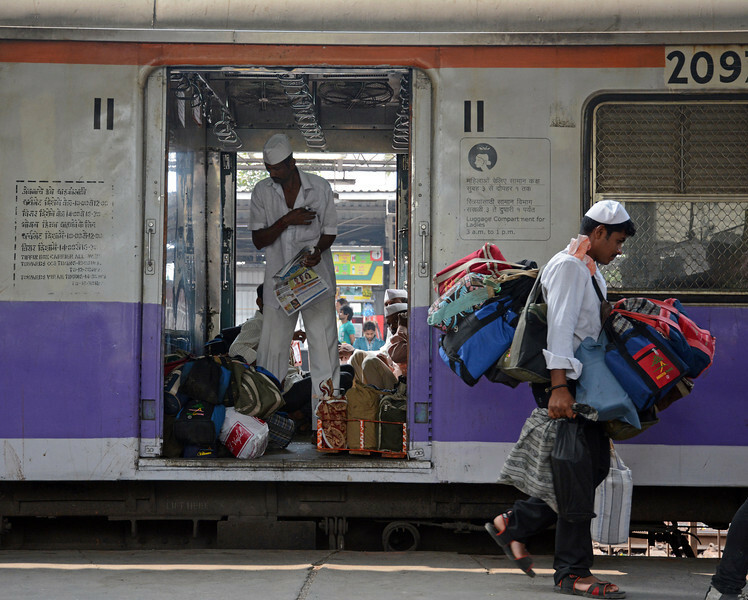 The Dabbawallahs collect thousands of tiffin boxes containing hot lunches from office workers homes or catering services, carry them by train to stations like Marine Lines and then distribute them to individuals at desks in offices across the city centre. Very few mistakes are ever made. And they do the whole thing in reverse after lunch. On the Western Railway the luggage compartment is reserved for the Dabbawallahs.